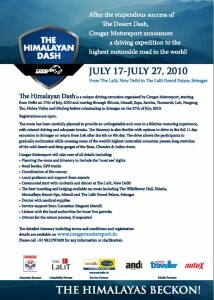 The Himalayan Dash 2010, started with a ceremonial flag-off from The Lalit, New Delhi on the 16th of July and covered more than 3,000 kms over its 11 day run before culminating in Srinagar on the 27th of July. 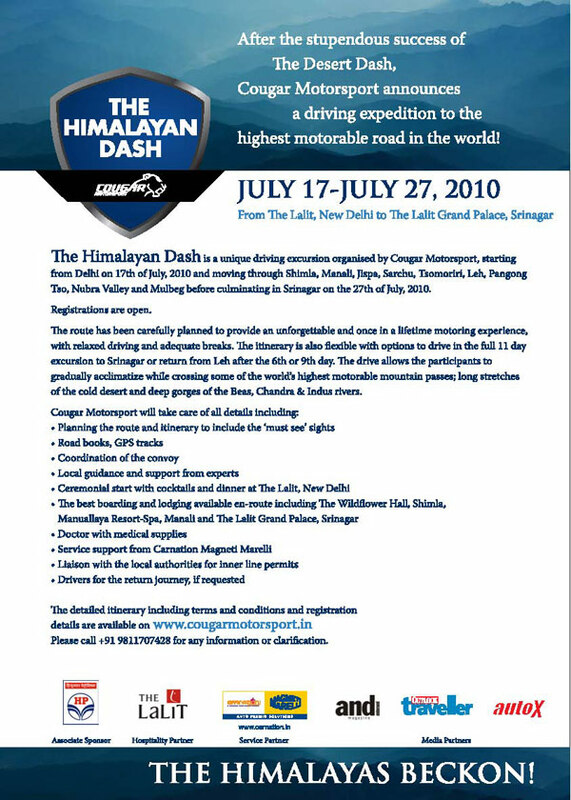 Over 40 participants including 13 ladies, 12 vehicles an Ambulance and a Service Vehicle moved through Shimla, Manali, Jispa, Sarchu, Tso Moriri Lake, Leh, Pangong Tso Lake, Nubra Valley and Mulbeg and across some high mountain passes including Jalori, Rohtang, Baralacha, Chang La, Khardung La, Zozi La and Fotu La. The participating vehicles included a combination of premium vehicles like Mitsubishi Pajero, Porsche Cayenne, Volkswagen Touareg, Ford Endeavour, Toyota Innova, Maruti Grand Vitara, Mahindra Scorpio and Xylo amongst others. The expedition passed several beautiful lakes including Tso Moriri, Pangong Tso, Dal Lake as well as deep gorges of the Beas, Chandra, Bhaga, Indus & Zanskar rivers. The participants acquainted themselves with the Buddhist heritage of Ladakh with visits to the Shey, Thiksey, Hemis, Diskit & Lamayuru monastries. HPCL and ONGC were the Associate Sponsors of the expedition while The Lalit and Carnation Magneti Marelli-Auto Premio Solutions were the hospitality and service partners respectively. 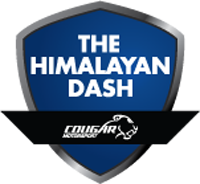 Cougar Motorsport, in partnership with EcoSolutions, distributed Solar Lamps to villagers in the remote village of Hundar in the Nubra valley. The event concluded with a gala dinner and celebrations at The Lalit Grand Palace Srinagar.